Sureño means Southerner in Spanish. When you are dealing with Mexican-American or Chicano gangs this refers to Hispanic gangs in Southern California. It also refers to those gangs who have copied the Sureño style outside of So. Cal. or are part of the "Sureño Movement" or “Southern United Raza”. These gangs differ in size, tradition and sophistication. In So. Cal, the gang structure is very loose, the make-up is more horizontal than the vertical hierarchy of some East Coast gangs. There are no Generals or Presidents, but there are Veteranos and "shotcallers" who have influence within their gang. Most Sureños may not personally know any Mexican Mafia (eMe) members, but will still put the “13”, for the 13th letter "M", after there name as a matter of respect. Sureños are not so much foot soldiers for the EME, more like a pool, from which the EME will recruit the best and most feared ones. Many Mexican Nationals are now claiming Sureño or they may choose to stay aligned with Border Brothers or Paisas. In states outside of California, gang members from different varrios may band together as Sureños, or they may form homegrown local gangs such as Varrio Locos or South Side Locos in places like Washington State. 18th Street, Mara Salvatrucha 13, Florencia 13, 38th Street, and hundreds of other gangs originating in So. Cal., refer to themselves as Sureños. These gangs often have established themselves in small towns across the country and war for control of drug trafficking with other local gangs. Law Enforcement in these small towns often do not initially recognize these gangs as Sureños. Sureños from different and sometimes warring gangs in L.A. may come together in other parts of the country. They may make truces with other gangs, but when they grow large enough, will often declare war on them. In So. Cal., Sureño gangs fight each other, but once they go to jail or prison they are ordered by the Mexican Mafia to get along. They will often fight Norteños in Nor. Cal. and in other states outside of California. Today, Sureño gangs can be found in nearly every area of the United States and even beyond U.S. borders. From San Diego to Seattle, from Brooklyn to Miami and every area in between, and even into Mexico, Central America, Canada, and other parts of the world. In some instances, established Sureño gangs have sought to expand their influence and illegal businesses to other parts of the country where there would be less competition for territories. In other cases, members of Sureño gangs migrated to the Southwest and further east with their families to find work. Finding themselves in unfamiliar areas, they were drawn to the security and familiarity of Hispanic working-class communities and often formed protection groups. But like many ethnic communities in the United States, the smaller criminal sub-culture took root among the honest, hard-working people who sought a better life for themselves and their families. 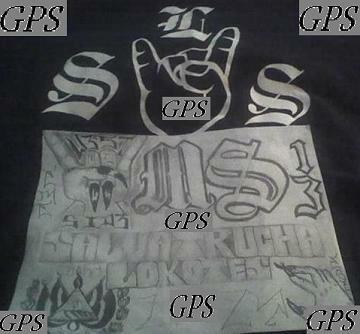 Given this complex situation, and generally speaking, there are three basic kinds of Sureños; 1) Those born and raised in Southern California who are gang affiliated and generally Hispanic, 2) those born in the United States but outside of Southern California, including non-Hispanic members, who have adopted the Sureño gang lifestyle but have never been in Southern California with the possible exception of Disneyland, and 3) those born in Mexico and Central America who spent little or no time in the United States but joined a Sureño gang in their own country. Indeed, one of the biggest reasons for the Sureño gang explosion is the rapid change in immigration since the 1980s involving Mexican and Central American national kids joining SUR13 umbrella gangs. The spread of Sureño gangs is not only limited to the broad-stroke migration from one state to another, but is also seen on a smaller scale when the gangs move from one jurisdiction to another within a state. Many townships, small municipalities or rural areas have become the base of operations for Sureño gangs looking for anonymity, freedom and open territory that major cities don’t afford them. This trend can be seen in the suburban and rural areas of both Maryland and Virginia that surround our nation’s capital, the suburban areas of Washington State that surround Seattle, the counties and municipalities that encompass the greater Atlanta area, and many other areas of the United States that once viewed gangs as a “city problem”. Often these gangs have all but appeared overnight while other times their presence grows unnoticed with the appearance of a few gang members at a time. Sureños seldom wear unified colors in L.A., as they do not want to bring attention on to themselves by Law Enforcement or enemies. Outside of So Cal. Sureños may wear blue to signify a unified group especially at parties or funerals. Within the California Department of Corrections, the L.A. County Jails, and on the street they are often at war with African-American gangs. Don't be fooled by the blue colors, Crips and Sureños have nothing to do with each other.